You're currently browsing page: /trompeter-musiker-komponist/520/hamdelaneh?lang=en of www.markusstockhausen.de. 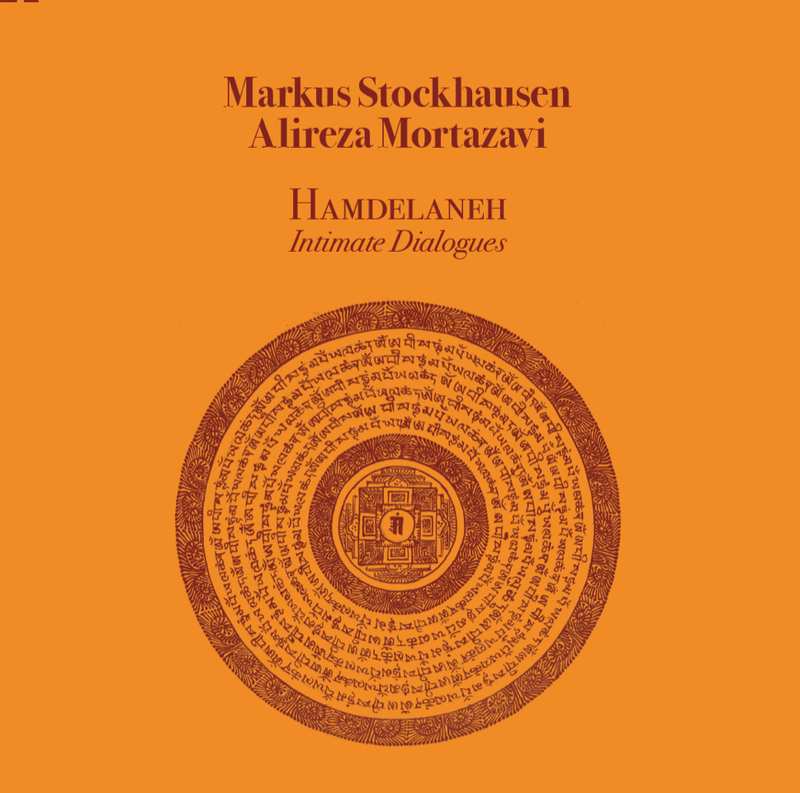 Published 2019 | Music by Markus Stockhausen and Alireza Mortazavi, mixed by Simon Stockhausen. Live recorded at the Mittelfest in Cividale di Friuli, 2015. Another true masterpiece from Dark Companion Records. I met Markus Stockhausen after inviting him and his wife to “Musiche Nuove In Piacenza” festival in autumn 2018. Immediately I felt a strong empathy towards him. That doesn’t happen very often. I knew his work and had always admired it, especially the spontaneous compositions he performs and the way his unique talent blossoms in these situations. We talked at lunch and I dared propose to him to record an album for our small Dark Companion label. The dream came true when Markus, after a few minutes in silence, phoned Alireza and suggested he be a special guest at our concert that very same evening. After some thought he kindly agreed. Alireza soon arrived in Piacenza and I had the opportunity to get to know one of the most charming and kind persons in the world. And an extraordinary musician – a master of the old Persian santoor, an instrument of many voices that sings like an angelic choir under Alireza’s hammers. When they performed the third and last movement of the concert, the audience was mesmerised, and so was I. Once more, the Magic Fairy was with us. Sometimes it happens, sometimes not. I saw someone in tears when Markus started to sing a sort of mystic, ancestral chorus with the audience. The music in this album is absolutely new but within it breathes a very ancient, sunken soul, a hidden root. Alireza and Markus were so kind as to give me this beautiful recording they made in Italy three years ago. I also have to thank Simon Stockhausen, Markus’s brother, who mixed and mastered this album with a state of the art quality. I am very proud to now have Markus and Alireza in our catalogue and I hope this album may give you the same intimate, graceful, peaceful atmosphere these musicians have given me. By the way, the meaning of Hamdelaneh is „with the same heart“. Meeting Markus was a beautiful moment of destiny. Our collaboration is nourished by complementary energies, creative forces that go beyond geographical boundaries. 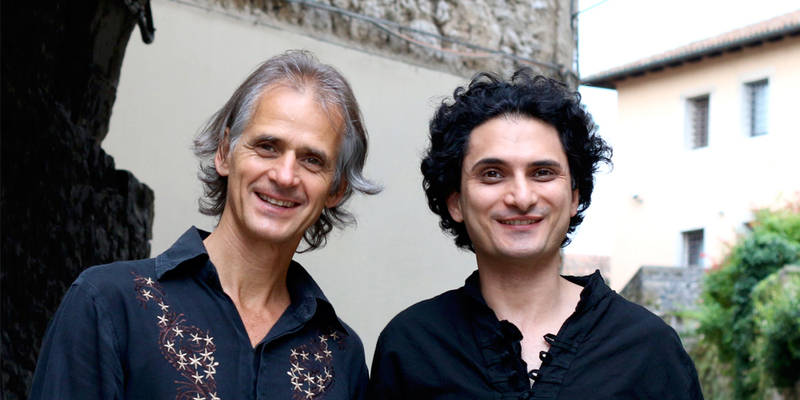 Making music with Alireza is a celebration of our friendship, and a confirmation of universal brotherhood. 500 handcrafted LPs and 500 CDs.